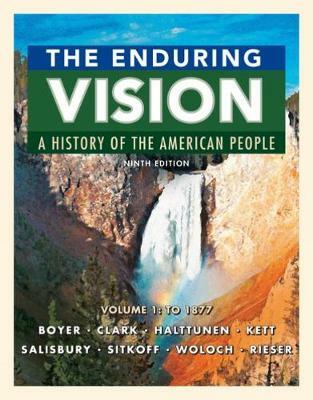 THE ENDURING VISION's engaging narrative integrates political, social, and cultural history within a chronological framework. Known for its focus on the environment and the land, the text is also praised for its innovative coverage of cultural history, public health and medicine, and the West -- including Native American history. The ninth edition incorporates new scholarship throughout, includes a variety of new photos, and brings the discussion fully up to date with coverage of the 2016 presidential campaign.